View the schedule of select institutions across the country where our admission representatives plan to visit with prospective Juris Doctor students. Just starting the process? Want to talk to someone face-to-face before you visit campus? Already decided to apply but want to learn more? Our admission representatives travel across the country to visit students at select institutions. Check our schedule and meet us on the road. 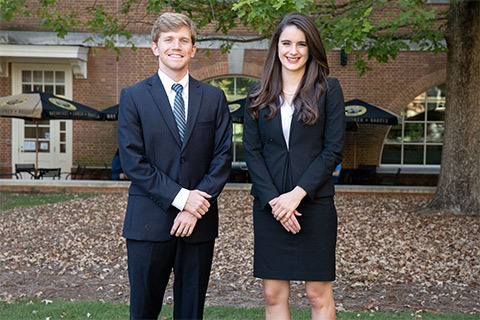 Pre-law societies or other pre-law organizations interested in having one of Cumberland School of Law’s admission representatives visit should contact (800)-888-7213 or email lawadm@samford.edu.